Are you looking for a place to raise the family? If so, you will want to look at this solid home with three bedrooms, large lounge with wood burner, and separate dining that opens through to the deck for a great indoor/outdoor flow. The kitchen is roomy with good cupboard space. Look at these features - freshly redecorated inside and out, new carpet, new vinyl flooring, new drapes and rewired - what more can you ask for! 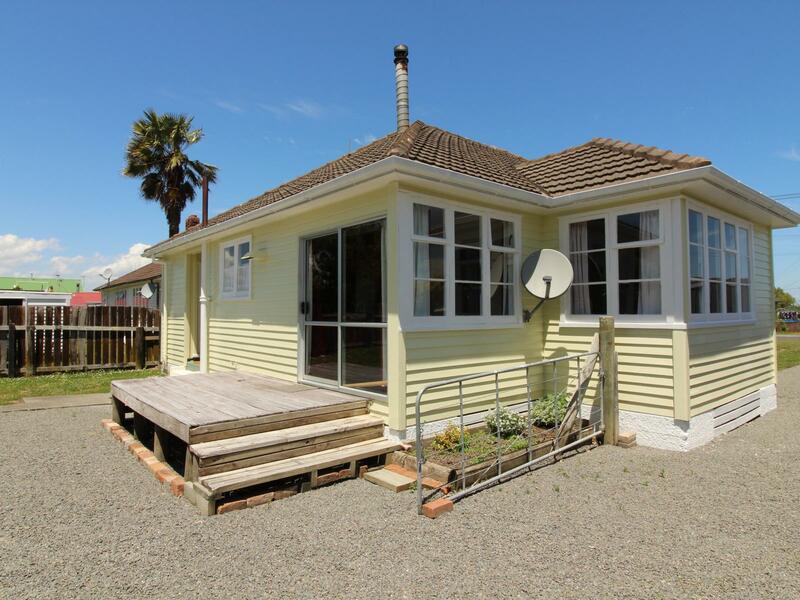 The location is handy to all amenities, schools, pre-schools and the medical centre. You could leave the car at home and stroll to town. This is a solidly built 1950's home of 110m2 on an 881m2 section. There is a high demand for properties like this and with the active market do not hesitate to view this property today. These homes are a delight to sell due to the good workmanship entailed.